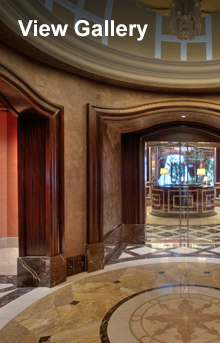 Based in Fishers, Indiana, IWI, or International Woodworking Inc., is a producer of high-end architectural millwork. When architects, designers and construction management firms seek a trusted, experienced partner to craft, deliver and install exceptional architectural millwork and casework, they ask for IWI by name. We are highly skilled in producing and installing custom architectural millwork and casework specified by architects and other design professionals. Our highly proficient staff of woodworking craftsmen, veneering experts, cabinetmakers, finishing specialists and dependable installation professionals can materialize any architectural design or concept. Our promise is to use our well-honed craftsmanship to help you realize any architectural vision, regardless of its complexity. We are dedicated to forming and maintaining long-term relationships with general contractors, construction management firms, architects and designers.